I just sort of knew it. Or was it just that I was hoping so much that I believed it? I'd set my aim of a podium at WOC this year knowing it was ambitious but I just had this feeling it would all go to plan. Well, it didn't quite do that - but the end result was just what I had dreamed of. It's impossible to talk about my race without mentioning the previous 2 days although I actually don't think it made a difference by the time the final came. 36 hours previously I came down with a really sudden stomach bug and spent the night emptying everything I had inside me. Sunday was spent catching up on sleep and trying to get back the food and water I'd lost. By that evening I had had a few sandwiches and plain rice and I was feeling much better. Weirdly I wasn't too fussed by it all. Or maybe I was too whacked to be fussed. 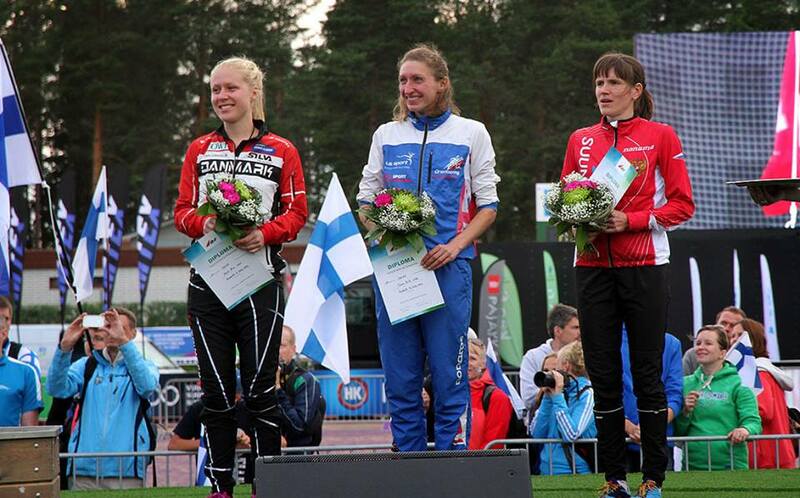 All I knew was that I needed to be on that startline in Sotkamo. 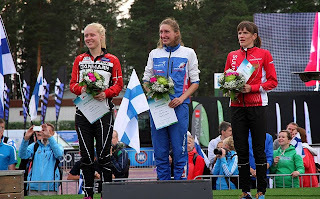 I couldn't leave Finland without finding out what I could have done. By Monday I was feeling ok. The qualifier in the morning was a struggle but I got round safely. A lot of the top girls were also taking it steady and as the course criss-crossed the area, I saw a number of them and I could use their pace for a sensible guide. It all passed without too much fuss (well except for muppet Murray running off the map and scraping through to the final in the end). I was feeling better by the hour - who else was doing that I thought!? Honestly, by the time I was on the startline, I was fine. I had plenty of energy to get me through 15 minutes. I was excited, I was ready. Bring it on. The course itself was excellent. 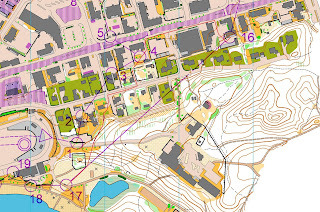 What had looked like a dull area for sprint orienteering had been modified with over 50 artificial uncrossable fences making every leg a tricky decision. I felt like I got into a good zone of planning ahead enough but still keeping concentration on where I was. I did 2 small errors that I can think of, one large hesitation as I got that planning ahead balance wrong (control 3) and another time I ran into the wrong garage area but quickly realised (on the way to control 9). 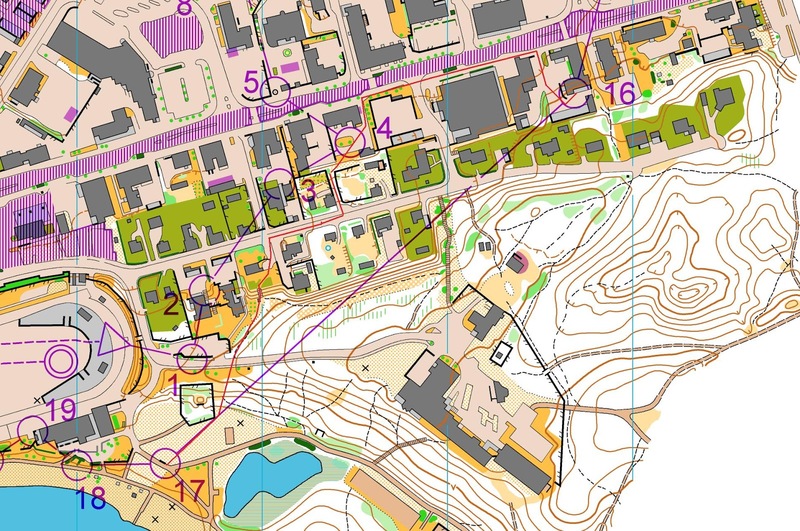 I think I picked a very good route on the long leg (control 17) which brought me up into the podium places but did lose a few seconds in the final short controls, either on fitness, control flow or not quite finding a fence gap at the end. It was a nervous wait as people came in. When it was confirmed as 5th I completely broke down. I knew I would do it. It was more than just hoping. But still to actually do it was just fantastic. The team effort was just amazing - Scott Fraser achieving one of Britain's best ever results with a silver medal brought more tears to everybody's eyes. Murray improving yet again with a seriously impressive 9th. 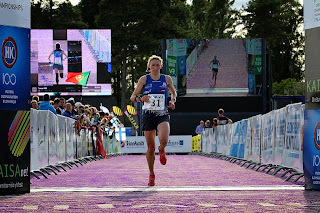 Kris Jones' debut result of 16th shows just how much more our British team has in the tank too and Sarah Rollins' 20th was equally impressive after a tough few days. Watching the union jack go up for Scott on the podium was wonderful and has set the tone for a great week here in Vuokatti. As with any result, there are a lot more people than just the athlete that have made the result happen. I won't make a list here - I hope to thank you all personally. But also thank you to everybody who has contacted me. I'm still smiling and it's going to last a while. I'm Tess. I'm like running in forests with maps. I like to wear Arc'teryx clothing and I like Silva to point me in the right direction.